The Wright State University letterhead uses the primary mark and approved colors. 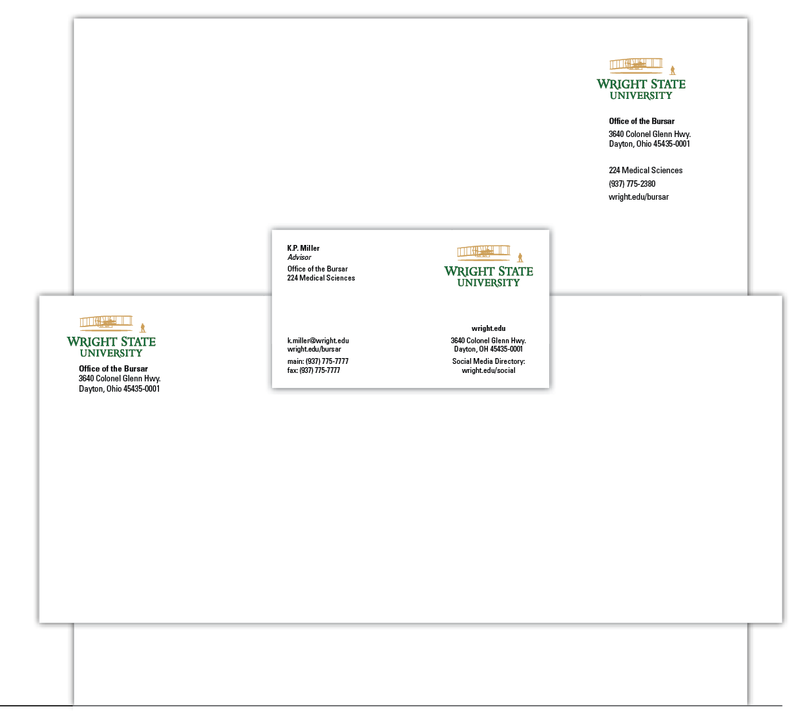 Like the business card template, the letterhead organizes information into groups separated by increased leading. The official USPS-designated mailing address for all units is located after the unit name, followed (with an extra space) by the campus location. Phone and fax numbers are next, followed by either the unit or university URL. The return address on all envelopes incorporates the USPS-designated address, which may include the unit name but may NOT include the campus location. To order stationery, matching envelopes, and business cards, call Printing Services at (937) 775-2117. 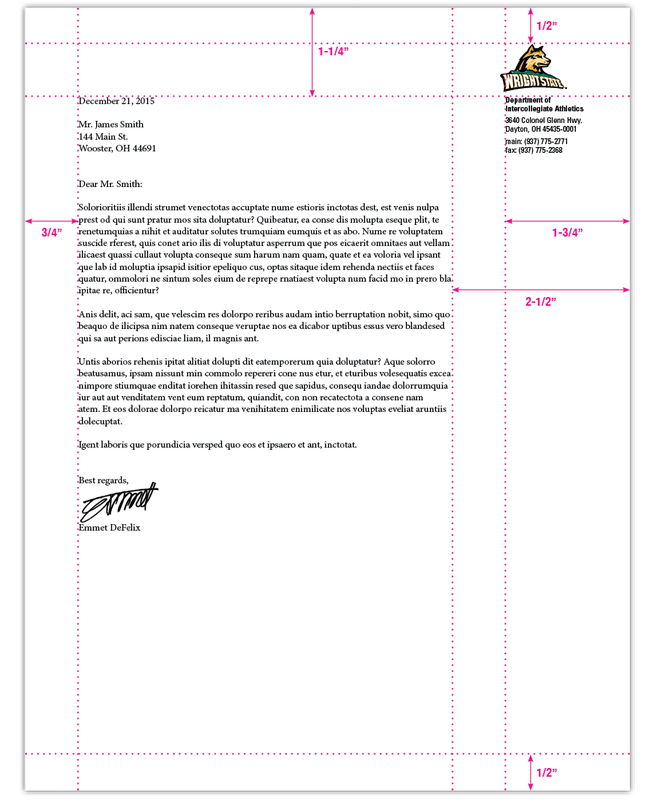 When setting up your document for printing on letterhead, the left margin should be set at 0.75 inch, while the right margin should be set at 2.5 inches. Set the top margin at 1.25 inches, and the bottom of the letter should not go lower than 0.5 inch. 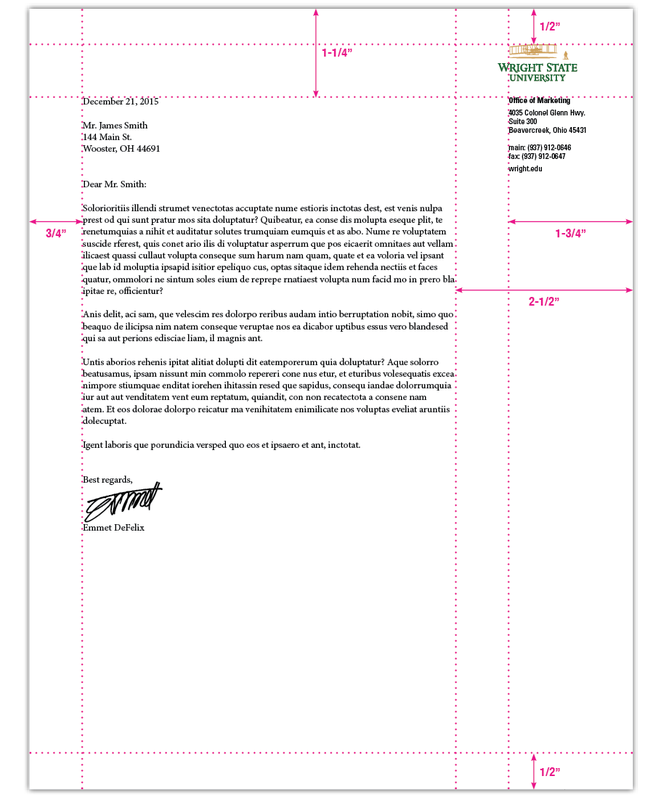 A Microsoft Word template is available to create letters and be printed on preprinted university letterhead. 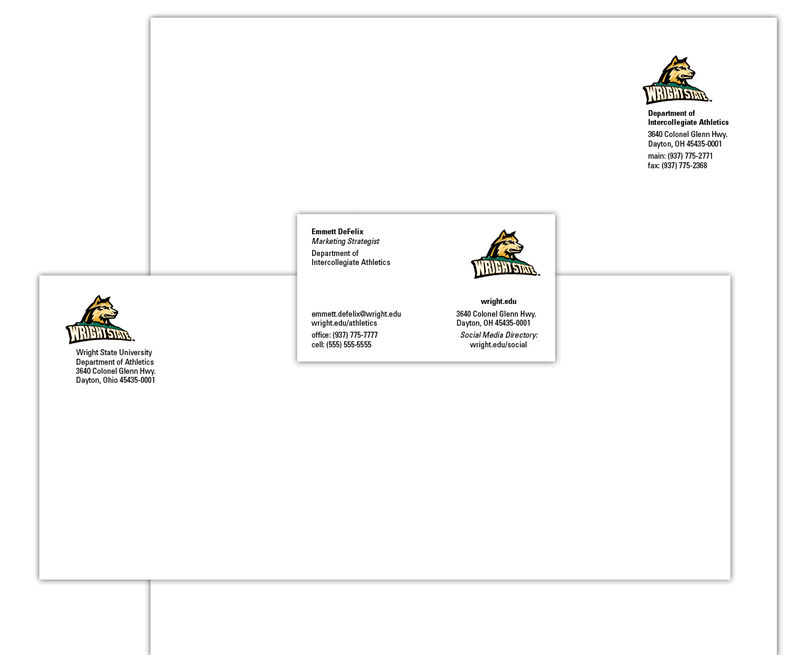 The Wright State Athletics letterhead uses the primary mark and approved colors. To order stationery, matching envelopes, and business cards, contact Printing Services at (937) 775-2117.